We started off with debates surrounding the new charging cable that comes with the new iPhone 5, meaning that Apple decided to ignore the Micro-USB standard. If you want to get a lightning connector working on your old devices, you will need an adapter ($40-$50). We have recently found out that the new iPhone 5 will also be supporting the Nano-SIM, rather than the Micro-SIM which the iPhone 4S uses. The Nano-SIM card measures just 12.3 x 8.8mm and its thickness have been marginally reduced to .67mm. Unfortunately, the new Nano-SIM is not only smaller in size than the Micro-SIM, but it is also slightly thinner. This basically means that you won’t be able to cut it down (like you could with a normal SIM card to a micro-SIM), due to the thinning issue. 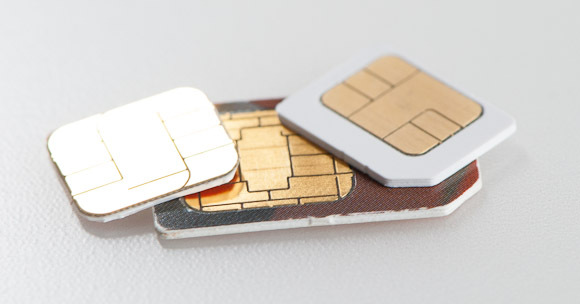 According to all reports, mobile phone carriers have stocked up on Nano-SIMs ready to release to the market, which will be in high demand after the launch of the iPhone 5.